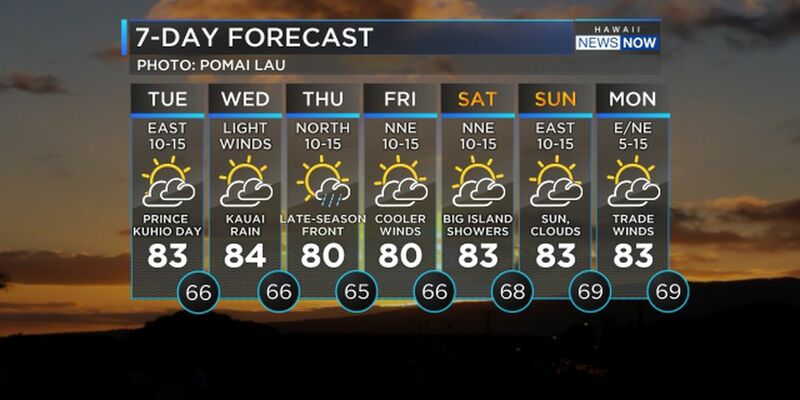 HONOLULU (HawaiiNewsNow) - A weakening high pressure system north of the islands will track southeastward as trade wind speeds decreasing on Tuesday. 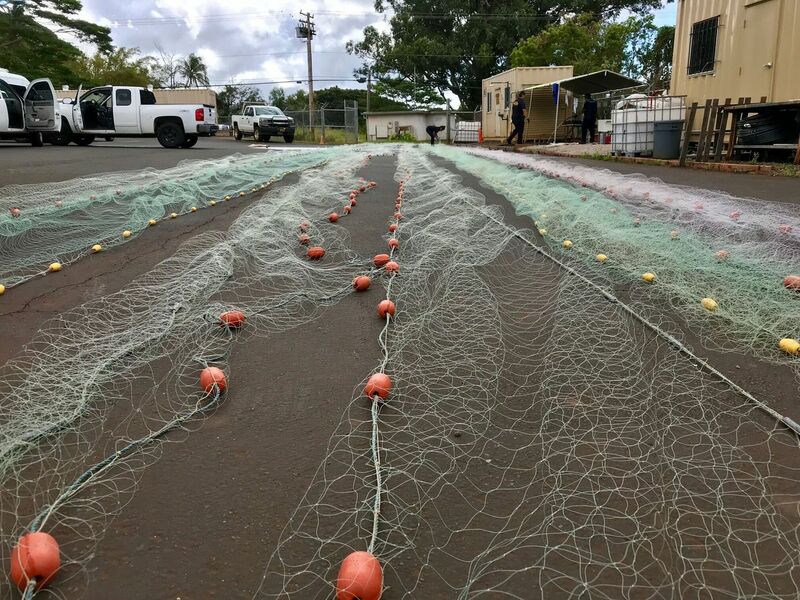 A cold frontal system approaching the Hawaiian Islands from the northwest on Tuesday will push the trade winds north of the state setting up light winds lasting through the weekend. 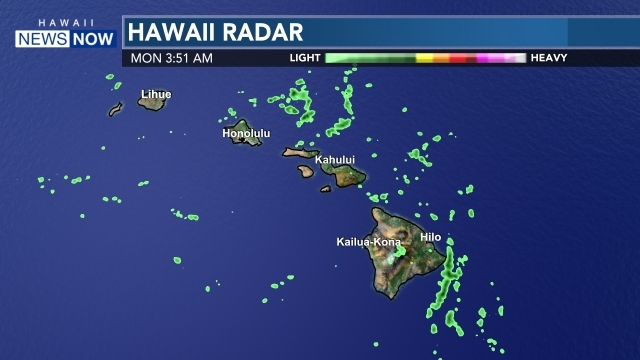 Clouds and showers from this front will move into Kauai late Wednesday night with unsettled weather slowly spreading southeast down the rest of the island chain from Thursday into Friday. Expect lingering unsettled showers over the windward sections of Maui and the Big Island this weekend. The north-northwest swell from this weekend continues to decline. There is small reinforcement from the north through Wednesday. Then we have series of moderate to large swells for the second half of the week. First, a large northwest swell with a 6 foot swell and a 17 second period arrives Wednesday and Wednesday night. A north- northwest (340 degrees), 7 foot swell, 13 second period, follows in Thursday night through Friday. Then, a more west swell of 300 degrees, 6 feet and 15 seconds, comes in Saturday and Saturday night. The Wednesday swell has the potential of reaching advisory level surf for at least the north facing shores.